The movers and shakers behind the Costa Rican Bird Banding Network hosted a day-long meeting at InBio Parque in Santo Domingo de Heredia on April 9 that started with an early morning Banding Demonstration led by Jorge Leiton who has helped at several of our mist netting project sessions in San Vito. Conference speakers delivered presentations on up-to-date research being conducted at several sites in Costa Rica, information on new tools and other innovations for bird monitoring projects, international capacity building provided by the North American Banding Council’s certification and training programs, a summary of one of Stanford University’s many long-term projects and information on the Banding Network and the new Costa Rican Bird Observatories. Additionally a LaMNA (Landbird Monitoring of North America) Data Analysis Workshop was held in the afternoon. Jared Wolfe, a PhD candidate at Louisiana State University presented a paper, currently in review, titled “A Tropical Bird’s Dissimilar Response to Global Climatic Phenomenon in an Uneven Aged Forest.” The data for this paper were gathered at the oldest, continually-run banding station in Costa Rica at Tortuguero National Park on the Caribbean side. Another research project, from CATIE in Turrialba and presented by Fabrice DeClerck, showed a significantly increased bird population in agricultural landscapes by leaving unpruned the famous ‘living fences’ of Costa Rica, traditionally used to define pasture and agricultural acreage. Researchers at CATIE are teaching environmental education programs for teachers at nearby schools as well as involving the teachers and their students in their research projects. C. J. Ralph of the USDA Forest Service displayed dazzling migration range maps for Indigo Bunting and Common Nighthawk created from eBird data. They literally made you want to run home to your computer and immediately update your eBird account. After seeing what C.J. was able to show, there is NO EXCUSE not to enter all your sightings and add to this powerful and complex data tool. The San Vito Bird Club was well represented at the meeting and several members stayed for the afternoon presentation on data analysis that will surely benefit our Avian Monitoring Project. 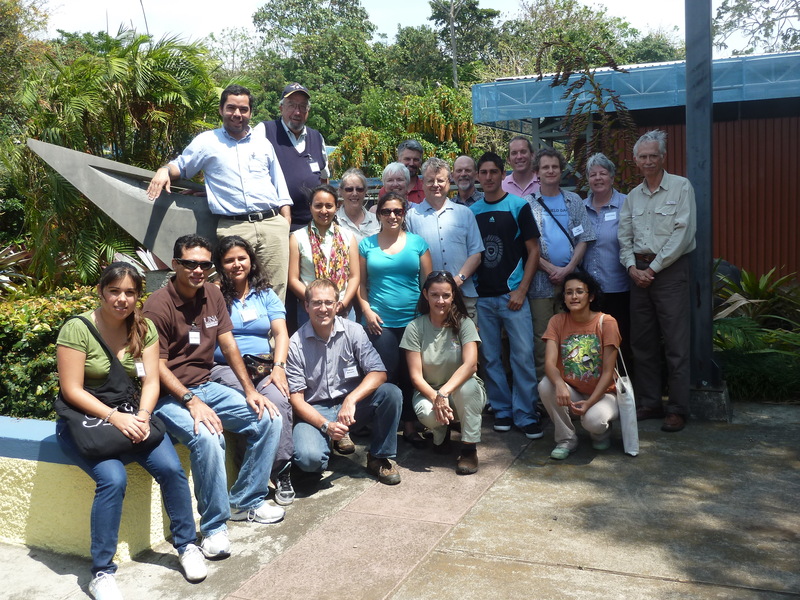 Thanks to Pablo Elizondo of Partners in Flight and the Costa Rican Bird Observatories for an inspiring conference that provided new insights into bird population dynamics, a forum for exchanging ideas and answering questions, and stimulating new information. 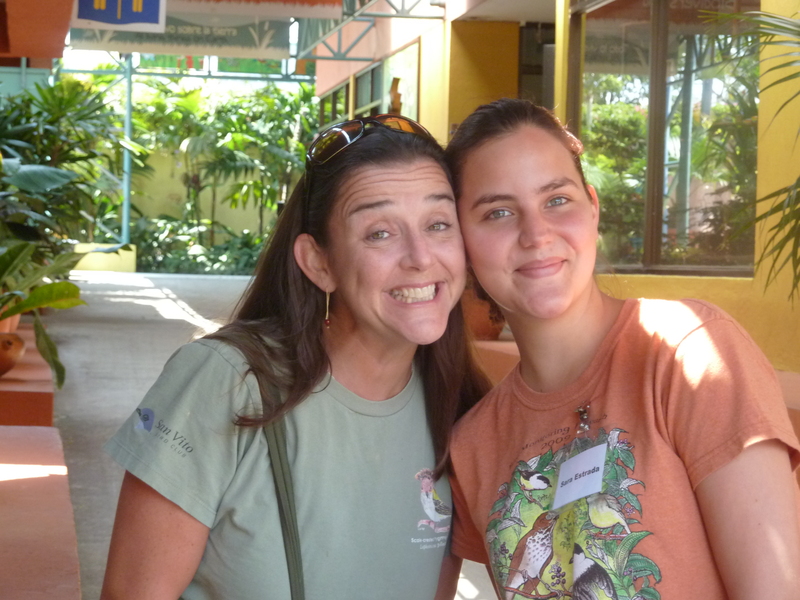 This entry was posted in Viewpoints and tagged bird banding, costa rica, InBio Parque by AWOlivieri. Bookmark the permalink.